Goorin Bros. has been making hats since 1895, and 120 years later they make our favorite wide brims, baseball caps, beanies, and more. 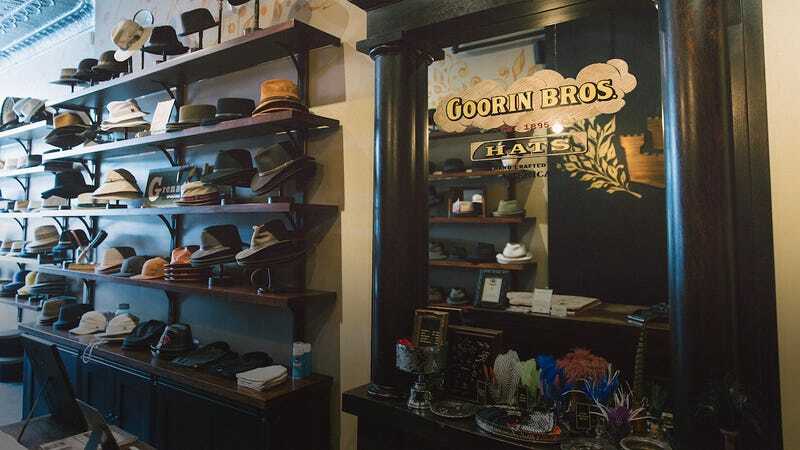 Goorin Bros. can also be a dangerous place- a minefield of fedoras, so exercise caution. I bought my first Goorin Bros. hat on Fab.com on a whim back in August 2012, and it’s still going strong, and actually fits my huge head. I’ve gotten three more since then. If you’re looking for something to protect you from the sun on your next hike, keep you warm, or just to throw on next time you’re walking the dog, Goorin Bros. has your head covered.